2015 is almost upon us and is likely to be an incredibly eventful year in property. What with a General Election on the cards, a potential mansion tax on the horizon and many other property stories set to hit the headlines in 2015, there'll be a lot to digest if you're in the industry or looking to buy or sell. As always, we'll be keeping you posted with news on our blog as well as keeping you abreast of exciting, fun things to do in Battersea and Brixton. The main event this month was the Budget, when Chancellor George Osborne pledged £0.5bn of finance for small house building firms and extended the Help to Buy scheme until 2020 in order to get Britain building. He said he wanted to create 200,000 new homes and added that he'll provide £150m of finance to help people have the Right to Build their own homes. Osborne also extended the application of the annual tax on residential properties held by corporate vehicles. And from April 2015, properties that are worth over £500,000 and purchased through a company will be subject to 15% stamp duty. Nearly all of the 254 homes in Phase 2 of the Battersea Power Station project were sold within the first week of sales. Even though the apartments started from £800,000 for a studio, the developer said that 75% of purchasers were UK residents. Evidently Battersea's growing in popularity as investors are realising the benefits of living in this part of London. Figures from Nationwide showed that the average price of a property in London increased by more than a quarter over the last year. This is a rate of growth that hasn't been equalled since the summer of 1987. And the borough of Lambeth showed increases that were 37% higher in the second quarter of 2014 than a year ago. 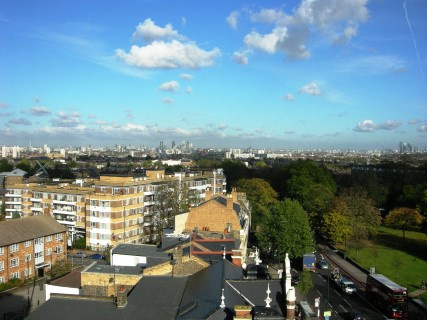 No wonder when Brixton, in our opinion one of the best parts of London, can be found nestling within its boundaries. The story of the month had to be the Scotland vote. Luckily in the end the Scots voted to stay part of the 307 year Union. There was talk that London property prices would soar if the Scots were to go their separate ways, that businesses would all relocate to London and sterling would crash. However, this Doomsday scenario never happened. As to how things unravel in terms of new powers for Scotland, and the little issue of devolution for England, remains to be seen. In other news, Shadow Chancellor Ed Balls announced at the Labour Party conference that he would introduce a mansion tax on properties worth more than £2m if his party was to achieve power next May. We believe this could be problematic and would be expensive to implement and heavily contested with tribunals blocking up the courts. Another knock-on effect could lead to properties being valued at just below the £2m threshold in order to avoid the annual charge. It came as a bit of a surprise, but Chancellor George Osborne announced in his Autumn Statement that the stamp duty tax will be completely changed. This means the 'slab' nature of the levy will be no longer applicable, with 98% of homeowners benefiting from the reforms. For properties worth more than £937,500, the tax will sharply increase. You can read about the new thresholds here. It seems that this wasn’t the year of interest rate increases – the Bank of England's Monetary Policy Committee has consistently voted against this – with only two members voting in favour of rises. We think that a hike is likely to happen next year at some stage, but we wouldn't want to put a date on it just yet. Keep reading our blog for updates on this and many other stories and analysis in 2015. So there you have it: our year in review. Have a very Happy New Year and enjoy the festive season.